The Angel Voices is a sort of “luminous dream,” sometimes so real you can feel the heat. In this elegant and haunting work, William Heyen pours forth prophetic words of an almost divine nature. 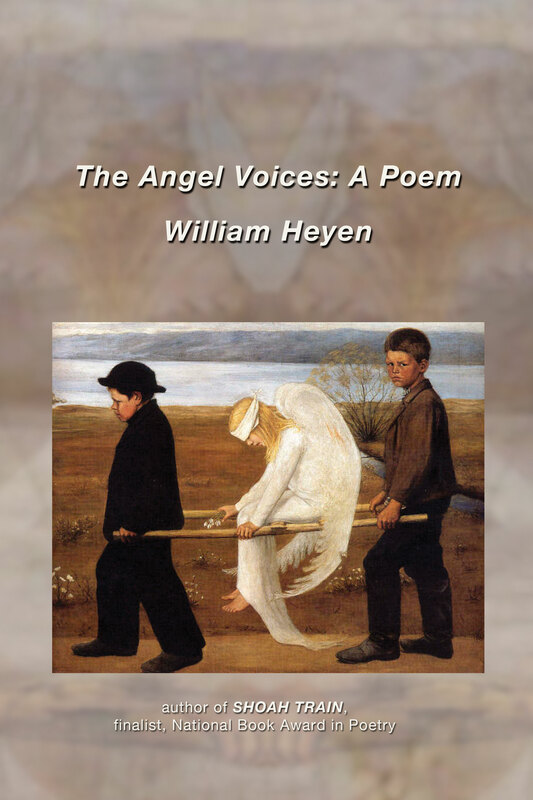 The poems search through images of grace and beauty as well as the grotesque, such as furrows dug to “drain off / human fat / the pyres congealed / with firefolk / villages of them / cities of them….” This gorgeous cycle is so ripe with sound and song that we hear the angel voices in every syllable. William Heyen lives in Brockport, New York. A former Senior Fulbright Lecturer in American literature in Germany, he has won prizes and awards from the NEA, the John Simon Guggenheim Foundation, and the American Academy & Institute of Arts & Letters. His poetry has appeared in the Atlantic, the New Yorker, Harper’s, The Southern Review, American Poetry Review, and in hundreds of other periodicals and anthologies. His Crazy Horse in Stillness won the Small Press Book Award in 1997, Shoah Train: Poems was a Finalist for the National Book Award in 2004, and A Poetics of Hiroshima was a Chautauqua Literary & Scientific Circle selection for 2010.